Time once again for me to invest in a movie trailer. As with Logan Lucky last year and with Jackie in October the year before, I saw a trailer at the start of the summer movie season that stopped me in my tracks. I would, in any other case, resist this as one prefers to mull over a film only after I have seen it. Lately, as a personal experiment, I have opened myself to one or at most two trailers per year and welcome the expectations to which I will soon compare with the actual movie. With its part-time VHS filter and sound effects, coupled with a brilliant remix of the 1977 disco classic “I Feel Love” by Donna Summer, the trailer for White Boy Rick prepared me for a gritty and sprawling biographical drama—a crime saga more akin to 1990’s GoodFellas than the vulgar excess of 2013’s The Wolf of Wall Street. I did not realize these past few months that French-born and British-raised director Yann Demange had worked from a spec screenplay by Adam Weiss and Logan Miller & Noah Miller. Given the unspectacular and largely small-screen output of the writers and that this is merely Demange’s sophomore big-screen outing, it does not surprise me that the film falls short of its Scorsese-esque aspirations. The crack epidemic and the War on Drugs rages in mid-1980s Detroit. Richard Wershe, Sr. (Matthew McConaughey), an illegal arms dealer, hopes to open up a video store one day with his truant teenage son Rick Jr. (newcomer Richie Merritt). Soon affectionately known by friends and colleagues as “White Boy Rick”, Rick Jr. helps sell his dad’s wares to local drug-dealing gangs while also yearning for the return of his addict older sister Dawn (an other-worldly Bel Powley). In the midst of this, Rick Jr. is recruited as a temporary informant by FBI Agents Alex Snyder (Jennifer Jason Leigh), Frank Byrd (Rory Cochrane), and Detroit P.D. narcotics officer Mel “Roach” Jackson (Brian Tyree Henry). However, as naturally skilled Rick Jr. is as an informant and as quick as he is at learning the lucrative drug-dealing trade, such a career is not meant to last. Giving up guns and drug dealing for the law-abiding quest to start a video store chain? Father and son know deep down that it is all a pipe dream. There is little doubt that director Yann Demange succeeds with White Boy Rick in making a definitive dramatization of its titular real-life figure. The movie still leaves more to be desired. 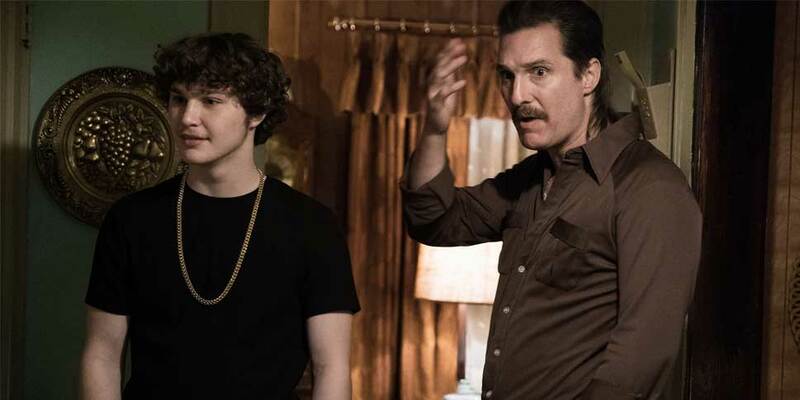 White Boy Rick makes its first mistake by throwing its audience into the middle of Rick Jr.’s story, with brief and on-the-move character introductions. This can work for most other stories, though it does not suffice for biographical tales. After all, the primary point of that subgenre is to get at the heart of their subjects. This would involve more time settings than most actors would struggle to handle in a convincing way without the aid of a great makeup and hairstyling department. That does not deny White Boy Rick from showcasing any great performances. In his debut role, Richie Merritt portrays Rick Jr. for almost four straight years. At his side, veteran Matthew McConaughey does likewise as Rick Sr.. After divorcing his wife and failing so far to protect his daughter from crack addiction, Rick Sr. toils as a single father and does his best to stop his son from ending up worse. Blowing everyone else out of the water, however, is Bel Powley as Dawn Wershe. Coming off her breakthrough role in 2015’s The Diary of a Teenage Girl, Ms. Powley transforms herself into such a shell of a young woman that few would realize that the actress is not a Detroit teenager, but rather a 26-year-old British starlet. Weiss and the Logan brothers’ screenplay prevents me from writing similar praises for the rest of the cast. It is almost laughable how relative big-screen newcomers Jonathan Majors, RJ Cyler (the standout in last year’s Power Rangers, which I wrote about here), Taylour Paige, and their fellow black actors largely get set aside shortly after the midpoint. Worse yet, they only participate in cursory development scenes beforehand. Why bother having longtime screen veterans Bruce Dern and Piper Laurie make passing appearances as Rick Jr.’s senile grandparents? Lastly, the script denies prolific British character actor Eddie Marsan a bigger role in White Boy Rick’s second half. These are all supporting performances that could have brought color to a 2 1/2-hour-plus portrait of Rick Jr.. The inexperience of director Demange and the screenwriters constrains the two-hour portrait to just one or two hues. Perhaps that is why White Boy Rick leaves me wanting more. Richard Wershe, Jr.’s story demands an unabridged and exhausting commitment, perhaps a miniseries, rather than a somewhat truncated biodrama that sacrifices a fleshed-out supporting cast. White Boy Rick wisely strays from glorifying Rick Jr.’s life of crime, government-sponsored or not. Yet much of its runtime is a fairly high plain that trends downward over two hours, puttering to sea level by the time the end credits arrive. 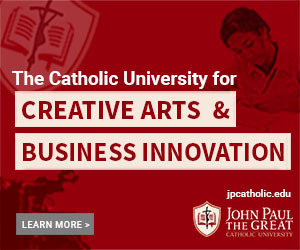 Contrast that with the trailer, in which “I Feel Love” builds anticipation with explosive and heart-pumping excitement. Perhaps director Demange and writers Weiss and the Logan brothers should take inspiration henceforth from the latter rather than the former.